On this day, in 2002, Young Rebel Star Prabhas made his acting debut with Jayanth Paranjee’s Eeswar. The film was a decent success and it launched a new star in Tollywood. Today, Eeswar turns 15, marking 15 years of Prabhas in movies. 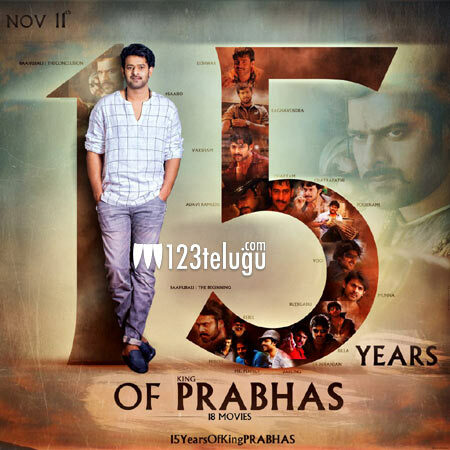 Fans are celebrating this special occasion by trending the “15YearsOfKingPrabhas” hashtag. In these 15 years, Prabhas had acted in 18 movies, including the historic blockbuster Baahubali franchise. Prabhas is now a nationwide phenomenon and his upcoming film, Saaho, is being keenly awaited by his fans across the country.